Huge home priced for a quick sale! HURRY BEFORE IT IS GONE! !With FULL price offer, seller will replace both HVAC systems!! WOW! Great house for growing family or someone that just needs lots of space...come check out this 5 bedroom 3 bath home situated on wooded lot w/room for a pool! Decorative tiled foyer leads you to formal living dining areas then around the corner is the huge family room, breakfast area & nice kitchen! 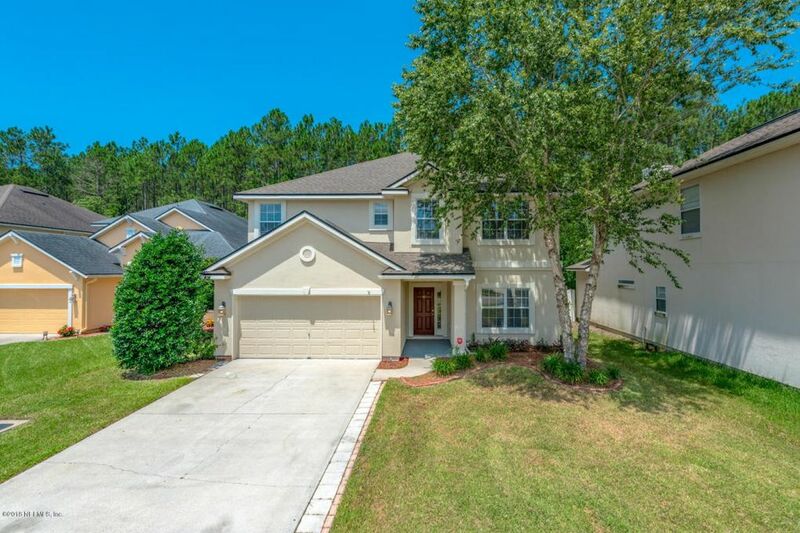 Stainless steel appliances, 42in cabinets, food prep island, granite counters, tiled backsplash & walk-in pantry. There is a downstairs bedroom & full bath perfect for overnight company.Upstairs has a great recreational space along w/3 secondary bedrooms, hall bath w/double sinks and GIANT master bedroom retreat w/large walk-in closet, trey ceiling &...See supplement. Directions: From Atlantic Blvd, north on Kernan Blvd, t/l onto Waterleaf Blvd, t/l onto Candlebark Dr, follow to house on right.